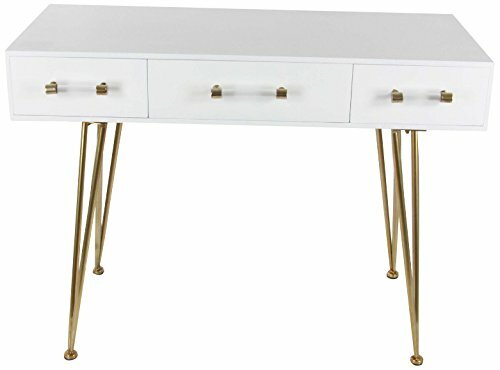 Clean lines pair with a crisp-white and gold finish to made out this 3-Drawer console table. Featuring enchanting looks, this can give home a chic complement addition. Arrange this in the entryway or living room with some decor pieces on top to complete the decor looks.